BEST Deep Sea Charter Fishing in Coos Bay and Charleston, Oregon offering exclusive daily trips for the entire family. 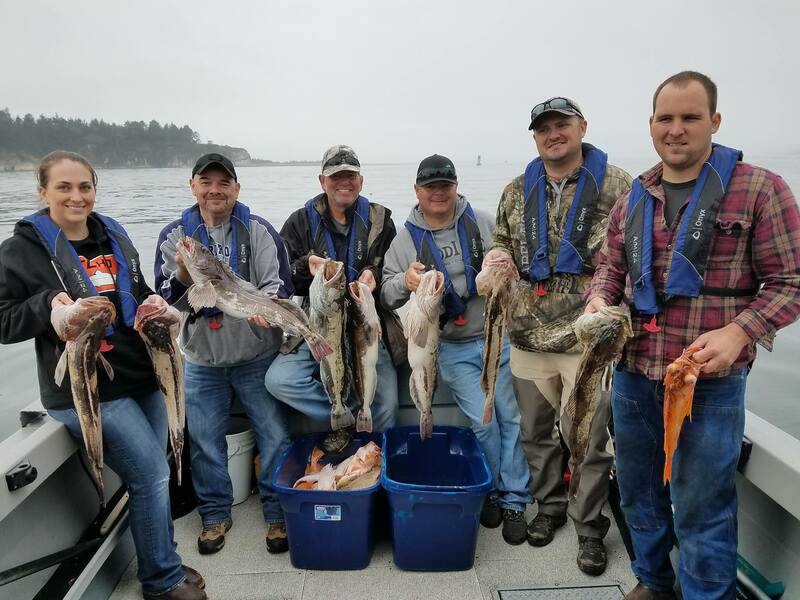 If you are planning to go fishing in Coos Bay, Oregon and are looking for a great adventure, you have come to the right place. Say goodbye to the “party boat” experience, and hello to “personalized” (6-pack) guided fishing adventure. Our guided trips are a maximum of 6 people. Which means: no crowds, more fun, new boat, heated cabin, personal service, more fish, bigger fish, and a great time you’ll never forget. Deep sea fishing in Coos Bay is fantastic for rock fishing and catching giant lingcod (sometimes call bottom fishing). We fish in deeper water in order to find the giant lingcod and rockfish. This is no run of the mill fishing trip. We hunt and find the biggest lings and rockfish possible. We love to fish and know our customers come to us for the ultimate fishing experience. We plan to deliver! Captain Curt Shoults (Master 100 Ton Captain) and fishing guide is the best in the business with over 45 years-experience fishing the Southern Oregon Coast. It all starts by checking in at our office 30 minutes prior to departure in our customer reception area, enjoying a fresh cup of coffee and reviewing your upcoming charter activities. While on-board he will deliver best-in- class guide service, friendly hospitality, safety, and fun! Pacific Charter Services will provide all the rods, reels, tackle, and bait needed for your fishing trip. We suggest you dress in layers and be prepared for all kinds of weather, and our cabin is fully heated to ensure your added comfort. Feel free to bring a small ice chest with snacks and drinks. You must have a fishing license for all trips, and is not included. A shell fish license must also be purchased for crabbing. Please obtain your fishing license in advance. Our office is located at 63480 Crossline Road, Charleston, OR 97420. Call to Book Now 541-378-3040!